That’s My Dress – On the Cover! It’s an amazing thing to have publicity, but to see your creation on the cover of a magazine. What an honor!! 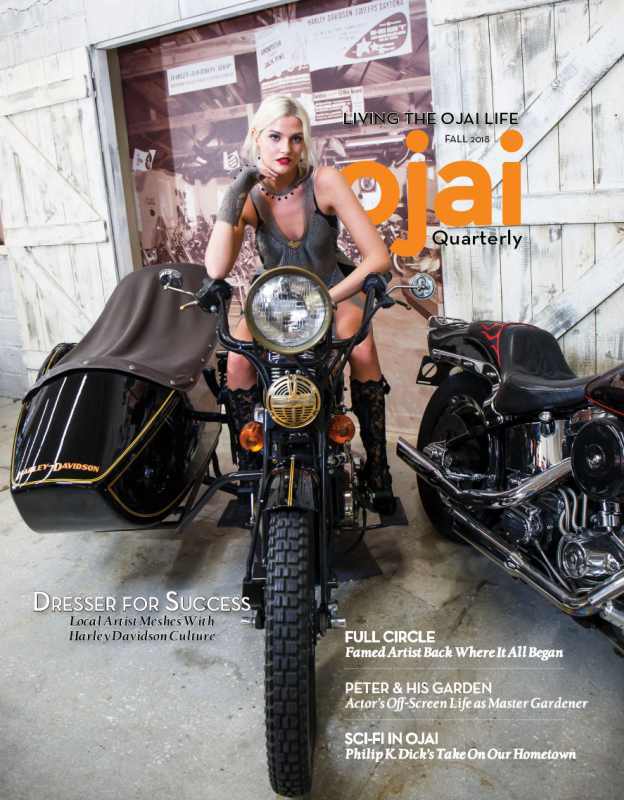 The Ojai Quarterly Magazine featured “Splashes of Gold” worn by London model, Charlotte Godfrey on its cover this quarter, along with an article about me and my work. Charlotte is wearing “Splashes of Gold” on a 1910 Harley motorcycle. And, it’s great fun to see, Katherine McClelland, my great friend, modeling “Armored Dreams” in the article as well. Oh, and just to pique your curiosity, there is a photo of me wearing the “Time Traveler Vest”. Bret Bradigan, the editor and publisher of the magazine, created a stunning article. Ultimately, the photos chosen were in his hands. So, I was as surprised as everyone else to see which photos and how the article played out. I’m thrilled!